When an entirely new idea hits a city, it can take some time for the dust to settle. Such is the case with Vivid at the Yates, a 20-storey mixed-use residential tower in one of Victoria’s hippest, hottest, fastest-developing downtown urban neighbourhoods. Forming the second of a pair of towers built by Chard Development Ltd. that span Yates and Johnson streets, Vivid at the Yates offers one- and two-bedroom condominiums below market cost. For the sake of comparison, the average price of a condominium home sold in Victoria during the month of October was just over $425,000; at Vivid, the average price is approximately $388,000. The appraiser looked at comparable properties to determine the fair market value of each suite, and Chard has reduced these prices by eight per cent . 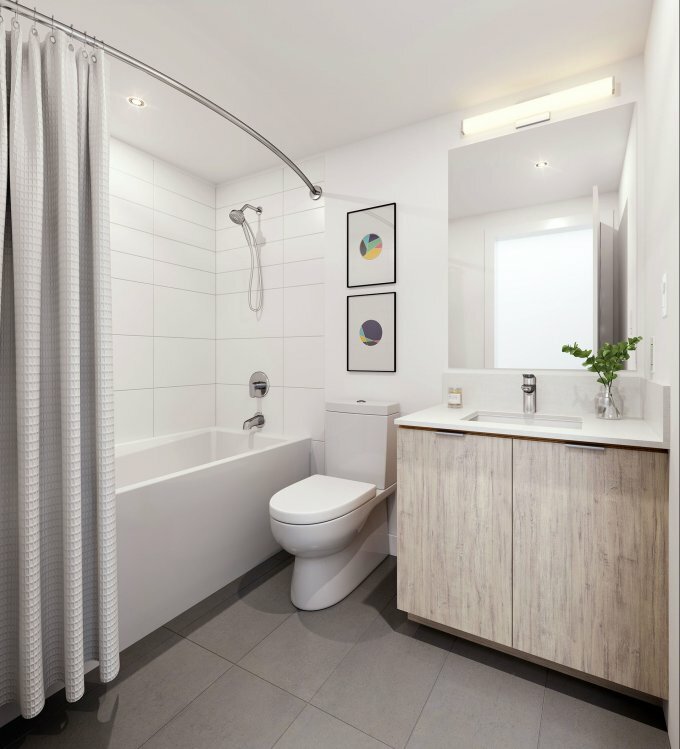 Vivid at the Yates offers economically achievable condo options to a broader spectrum of purchasers — people who otherwise might not be able to find a suitable home for purchase, given Victoria’s hot housing market. “The pricing of Vivid at the Yates has been established by a third-party appraisal that was approved by BC Housing,” says Chard Development Chief Financial and Acquisitions Officer Byron Chard. “The appraiser looked at comparable properties to determine the fair market value of each suite, and Chard has reduced these prices by eight per cent.” For the sake of comparison, the average price of a condominium home sold in Victoria during the month of October was just over $425,000; at Vivid, the average price is approximately $388,000. 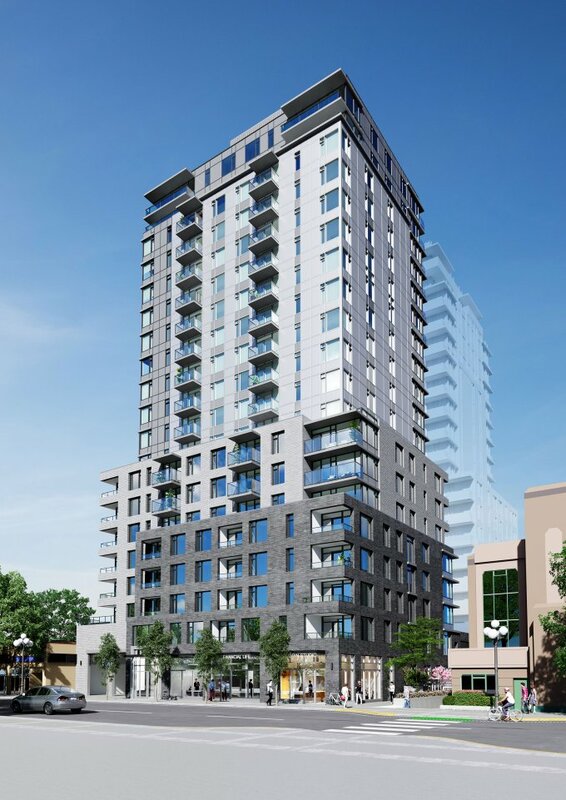 The first of its kind, Vivid at the Yates is another in Chard Development’s line of award-winning Victoria developments that reflect the company’s commitment to building a vibrant, sustainable and livable downtown. Chard has long understood the potential of this neighbourhood, and, throughout its ten years of building quality homes in the area, has shaped a new epicenter of energy in the downtown. Life at Vivid is walkable; it’s close to groceries and services; and it’s smack in the middle of an ever-developing variety of shops and restaurants. And there’s no shortcutting on features, either. All suites at Vivid are built with the same eye to excellent quality and outstanding value that benchmarks Chard’s other developments in downtown Victoria, including The Sovereign, Juliet, Corazon and Escher, right down to the stainless steel appliances and rooftop BBQ lounge. By hammering out a supportive deal with BC Housing, Chard has made home ownership possible for a wider range of Victoria purchasers. “The partnership with BC Housing presented a unique opportunity for us to reduce our risk while also accomplishing our goal of providing a diversity of housing alternatives to the Victoria marketplace,” says company founder David Chard. Long anticipated and now available for purchase, Vivid takes its place proudly next to The Yates on Yates amid the bustle of a dynamic and growing urban community. Check out Vivid's website to register today.